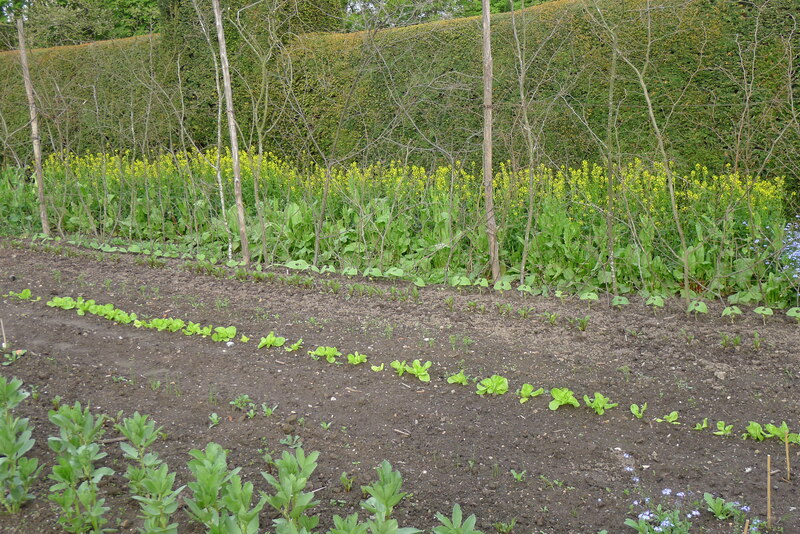 The Broad Beans were given the first line of support yesterday, which was great to see as they are doing well and the winds can be strong up there in the High Garden, thank you Thomas for the great job. 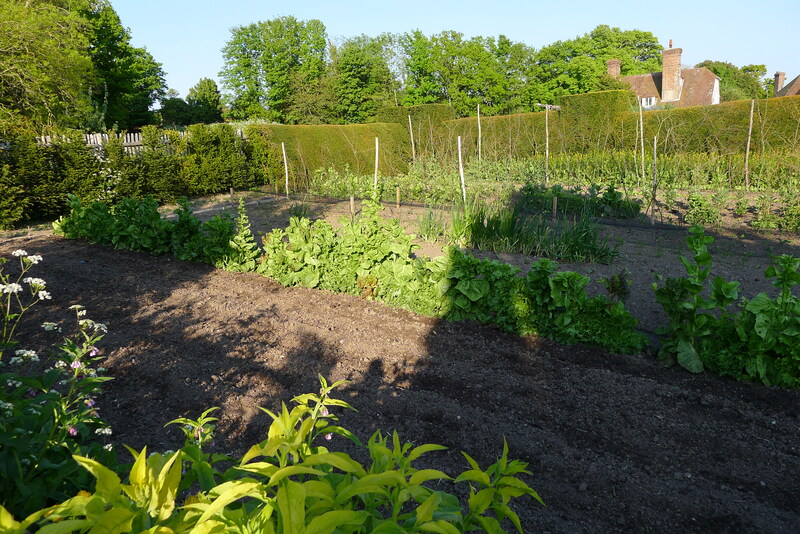 Now that the Potatoes are sorted we are moving through the garden weeding out all weeds and turning over the soil, the whole area looks so much better for it, Fruit Cage today. Well the mounding up of the potatoes has started, well over half of the work is finished, and the other part will be worked on today. 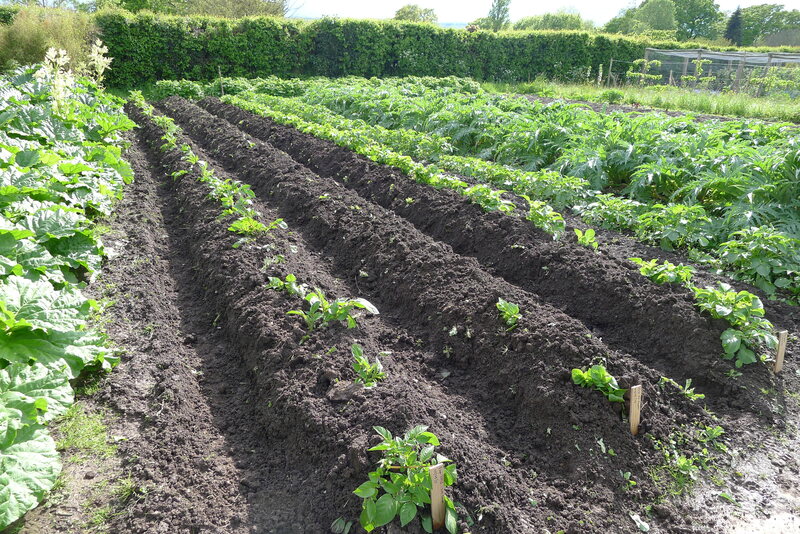 I was not able to start till well into the day as we had rain (great for the seed that I planted the afternoon before), I did not want to be moving the soil too much, the potatoes will be much better for it, they now have more room for their roots which I look forward to eating later in the year. I have also planted ‘Tomato Kings’ plants and was able to get more yesterday from him, once again thank you. 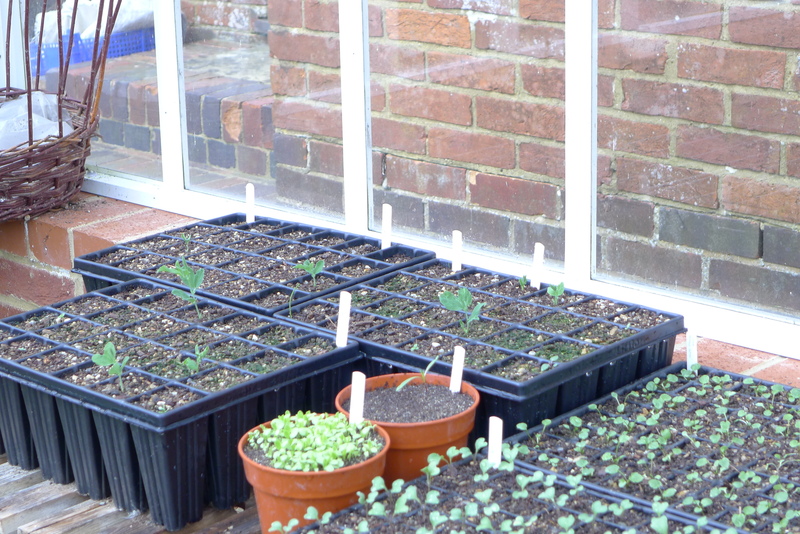 Yesterday I filled the High Garden, the last four rows were planted and as I write this there is a light rain falling out there, just what the new rows need, the three rows are Mustard ‘Spicy Green’, Territorial Seeds, All Season Salad, Thompson and Morgan, Salad Green ‘Garden Cress’, Territorial Seeds and another row of Parsnip ‘Tender and True’, Thompson and Morgan, I have come to understand from talking to people that Parsnips take a long time to germinate. I will now get on with the area on the other side of the hedge. 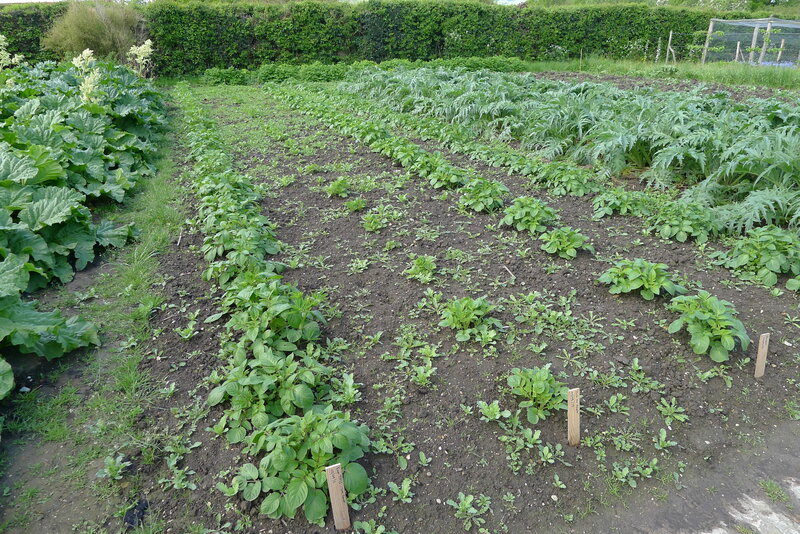 We need to mound up the Potatoes now, they are at a good size, we take a rotavator between the rows and break up the soil, this soil is used to mound up the rows, it is also a good way to sort out the weed problem, if you mound them up enough you will only have to do it the once, and this should be the only time you have to knock down the week because the leaf spread should stop any more coming through. The problem now to watch out for is blight. How I got it wrong…. I had the chance to go to Chelsea Flower Show yesterday which went very well, it did help that we were at the gate at 7:45 and so the numbers where low at the Show Gardens but where I wanted to be was the Floral Marquee, to see the vegetable seed suppliers and the one I really needed to see and know from him, how I got it wrong, ‘Eagle Sweet Peas’, so to grow Sweet Peas you need to full the pot you are going to use 3/4 fill with compost, soak it at this stage well, top up the rest of the pot with dry compost, plant the seed 3/4inch deep and cover with newspaper and place in the greenhouse or cold frame, do not water till the plants are through. Hope this is a help for you as it was for me. I am pleased to now have the Climbing Beans in, they are planted on the frame that we built for the Sweet Peas, since they did not grow, I had the space for something else, at least you can eat Beans. 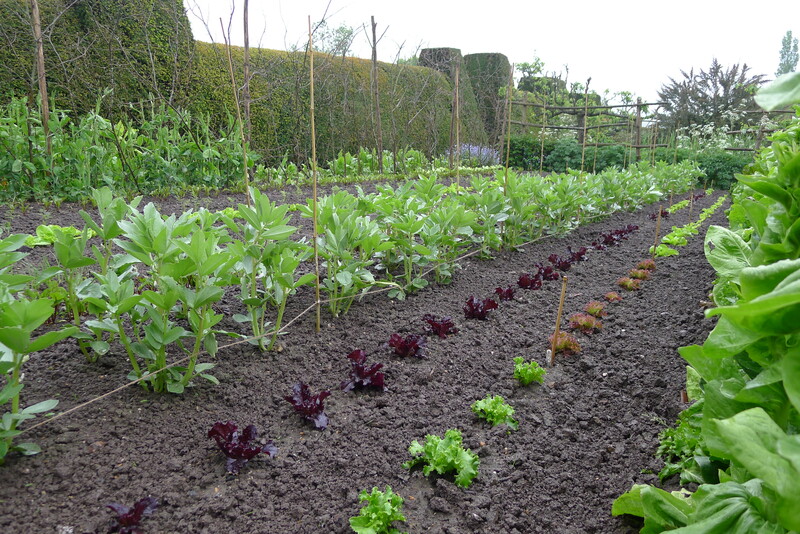 I need to get another lot of Lettuce sown so we have a good supply through the summer, I am going to give L.’Chartwell” a try next.